Newman Centers in the U.S.
Newman Centers are Catholic ministry centers at secular universities throughout the world. These centers provide pastoral services and ministries to all, but especially to the Roman Catholic students and young adults. 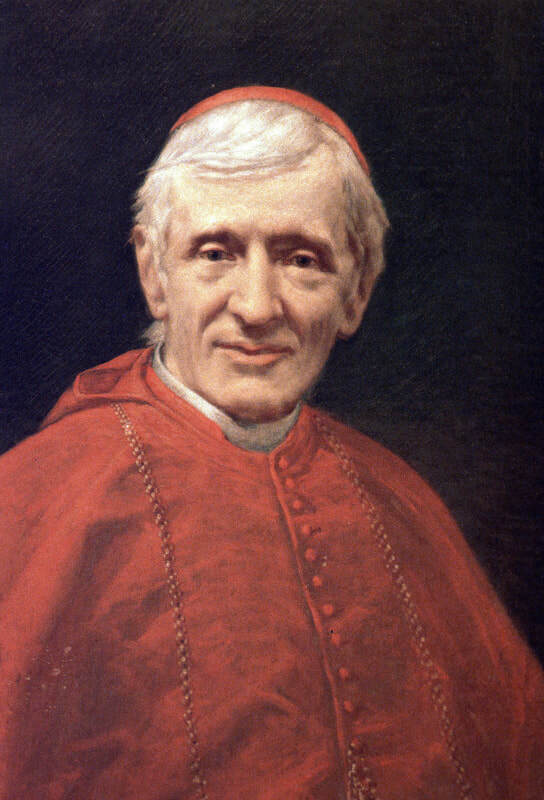 Newman Centers are named for Blessed John Henry Newman and were inspired by Newman's writings. John Henry Newman stands as a giant in the fields of theology, philosophy, and education. Influencing many academic and spiritual disciplines, Newman’s writings and his lifelong search for religious truth continue to inspire scholars today. Newman began his religious career as a 19th-century Fellow of Oriel College and as the Vicar of St. Mary the Virgin Church in Oxford, England. At the age of 44, he converted to Roman Catholicism and founded the first English-speaking Oratory of St. Philip Neri in Birmingham, England. He was made a cardinal of the Catholic Church in 1879. Newman’s reform-minded philosophy and theology was so influential that he became known as the “Invisible Father” of the Second Vatican Council. This distinguished title was given to him because his ideas energized the conversations that sent that council in the direction of reconciliation and dialogue with the modern world. His 19th-century writings also set into motion the Council’s teaching on the role of the laity, conscience, and education.